The startup Campanda from Berlin starts it’s marketing offensive: From the 5th January on, the first TV spot of the online RV rental will be live on German-speaking television. The 20 seconds long commercial will be live on channels like RTL, Sat.1, VOX and kabel eins. Responsible for the creation and implementation is the Berlin agency Try No Agency. Berlin, 5th January 2017. „New experience of freedom“ – is the slogan of the Campanda online RV marketplace. “Holiday is the most beautiful time of the year. With our spot, we want to inspire the viewers to consider camping trips and convince them to embark on this individual adventure, “says Mathias Rhode, Marketing Manager at Campanda. That is why, in the TV spot, the focus lies on eroticism, mobility and unlimited freedom. In it, a panda, the ‘Campanda’, leads the viewers through the story. In the advertisement, which was filmed on Gran Canaria, there are different holiday scenes: a family, a couple on the beach, a group of young people at the camp fire – they all travel with an RV. The goal is to establish the holiday with the camper as an alternative way of travel. A Panda on the road. In the first sequence of the TV commercial, viewers watch the panda bear at the wheel of a motorhome as he drives along a curvy road. In the spot, the Campanda takes over the role of the always attentive helper: he hands over the vehicle key, hands a cool drink to a couple on the beach and puts a warm blanket over the shoulders of a woman at the camp fire. “By the different scenes, we show how adventurous, exciting and family friendly a camping holiday is. I am delighted that the Campanda is supporting us as a friendly advertising figure, “says founder and managing director Chris Möller. 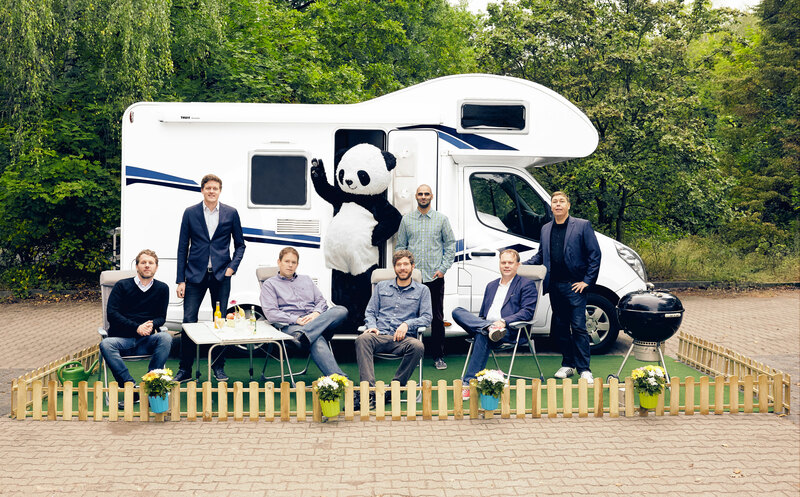 Just like the company itself, the Panda has also set itself the task of making camping holidays a special experience. “With this spot we want to address a broad target group and explain how our platform works. If you are planning a camping holiday in the future, you should immediately think of Campanda. In addition to the increased brand awareness, we also expect an increase in bookings already at the beginning of the year,” explains Rhode. Production and media buyings were financed independently by the startup. CMO Mathias Rhode and co-founder Frederik Fröhle even took over a small role in the commercial. On www.campanda.com, customers have the opportunity to rent RVs and rent out their own vehicles. Campanda works with a variety commercial providers and private RV owners. At one glance, the user has an overview of all vacancies with information on the price and equipment of the RV. Interested users are able to book the desired campers directly on Campanda.de with best price guaranteed. Local Campanda websites exist in eight Countries and in six languages so far ​​- German, English (US / UK), Italian, Spanish and French.